The Netherland Dwarf rabbit is one of the smallest rabbit breeds, which makes it a good indoor pet. The American Rabbit Breeders Association (ARBA) recognizes the Netherland Dwarf as one of 47 different rabbit breeds accepted for competition in rabbit shows. In the 1880s, Dutch rabbit litters in England were observed to have some mutations. They had small, short bodies and were white with red eyes. 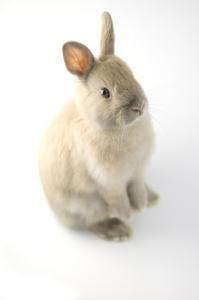 The rabbits were sent to Germany where the first breed standard for them was created. That standard was similar to the ARBA standard for Netherland Dwarfs today. 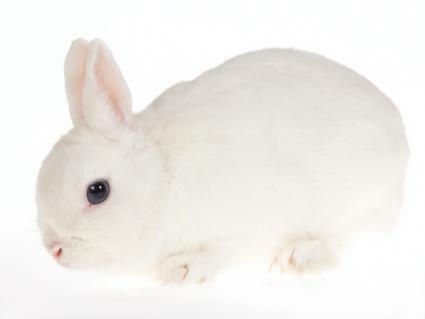 The white rabbits were bred selectively with wild rabbits to create additional color patterns. However, the colors did not stick and within a few generations the rabbits were again white with red eyes. The breed was called "Hermelin" and remained white until the 1930s. Dutch breeder Jan Meyering and her friends began experimenting, and within a decade they were able to introduce many of the colors seen in this breed today. The breed first came to the United States around 1965. Over the years, breeders have continued to perfect and contribute to the breed. The ideal weight is considered to be two pounds or under, but if you are getting one of these rabbits to keep as a pet, it may weigh a bit more. Most Netherland Dwarfs stay well under three pounds. There are actually 25 different varieties of coloring that can be shown in this breed. The ARBA breaks these varieties into five groups. The females of this breed tend to be passive, while the males are sometimes aggressive if they feel they are in danger. Since the Netherland Dwarf is calmer than some breeds, this rabbit is often kept indoors as a family pet. These rabbits are intelligent and can be trained to use a litter box, although they should be caged when not supervised to prevent them from chewing wires and protect the woodwork in your home. Even though Netherlands are easy going, they are an active breed that needs a lot of exercise. They love to hop around and are friendly with both other animals and people. Due to the breed's small size, these rabbits might not be suitable as pets for very small children because they are easily injured. Some owners report that their rabbits grow grumpy with old age and suggest getting the animal sterilized to help with this issue. Should You Get a Netherland? Netherland Dwarf rabbits keep the appearance of a baby even into adulthood, and they are easy to train and docile. With the proper care and appropriate feeding, this rabbit could be a good companion for your family for several years.